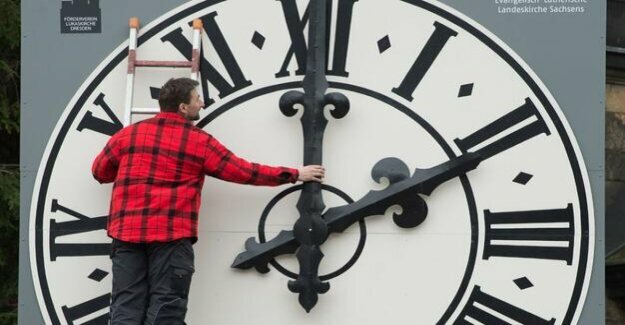 European Union : when is the end of the time change? 04 Mart 2019 Pazartesi 13:00 - 17 reads. In the spring an hour before, in the fall back one hour: daylight savings time is here in Germany since decades, usual Ritual. In Brussels, EU States and the European Parliament are currently discussing its abolition. The members now want to make pressure. But not everywhere there is enthusiasm. A look back: in 2018, the EU had proposed a Commission that already in 2019, semi-annual Turn should be abolished. Instead, each state should be able to decide for himself whether he wants to permanently summer or winter time. For years, the Brussels authority, which can propose EU laws remained, previously idle. The fight against the time change remained single fighters such as the former MEP and current NRW-Minister of the interior, Herbert Reul (CDU). An EU-wide Internet survey, then brought the momentum. 4.6 million responses were received to the EU Commission. That was an absolute record for this type of surveys, however, is still less than one percent of the EU citizens. 3 million answers came from Germany alone. 84 percent of the participants called for the abolition of the time change. For EU Commission chief Jean-Claude Juncker, the Signal was clear: "The people want this, so we do that." Until April, the States should coordinate with each other, what time you want to. The competent EU Ministers of Transport this was, but decided to quickly. In 2021 at the earliest, the time change should be abolished, they were recently. Otherwise, a "time-patchwork-carpet of the threat" in Europe, said the then President-in-office, Austrian Minister of transport Norbert Hofer (FPÖ). Currently, the EU States agreed among themselves, nor their Position, it was now in Brussels. In addition, the economic impact would have to be analyzed carefully. This takes time, it was said in diplomatic circles. At the working level should be made at the earliest in April on the topic of negotiating, the next official Ministers ' meeting is only scheduled for June. That, in turn, the European Parliament is too slow. By 2021 we do not need to take the time to vote, think of the CDU-MEP Peter Liese. Recently a number of Advisory committees - for example, the health Committee agreed, for faster elimination. On Monday, the lead Committee on transport is now on it. A few weeks later, the plenary session to follow. In Central Europe there are at the Moment a big time zone from Poland to Spain, Germany and 16 other countries in the EU. Permanent summer would be for all 17 States of the time, it would mean for Spain in the Winter darkness until just before 10.00 PM. All of them agree on the winter time, it would be in Warsaw in the summer to 03.00 PM bright.